Dora the Explorer, a Nickelodeon animated show with the main character embarks on a trip in every episode to find something or help somebody. This is where I got the concept of this blog that aims to document all my wanderings whether it be checking out century old churches or museums, meeting locals, eating exotic dishes, staying at backpacker guesthouses or sometimes resorts/hotels, traveling solo etc. My tagline is “iWander. iExperience. iKwento”, a way of discovering what the world offers, experiencing it first-hand and by the use of internet, share these experiences to others. 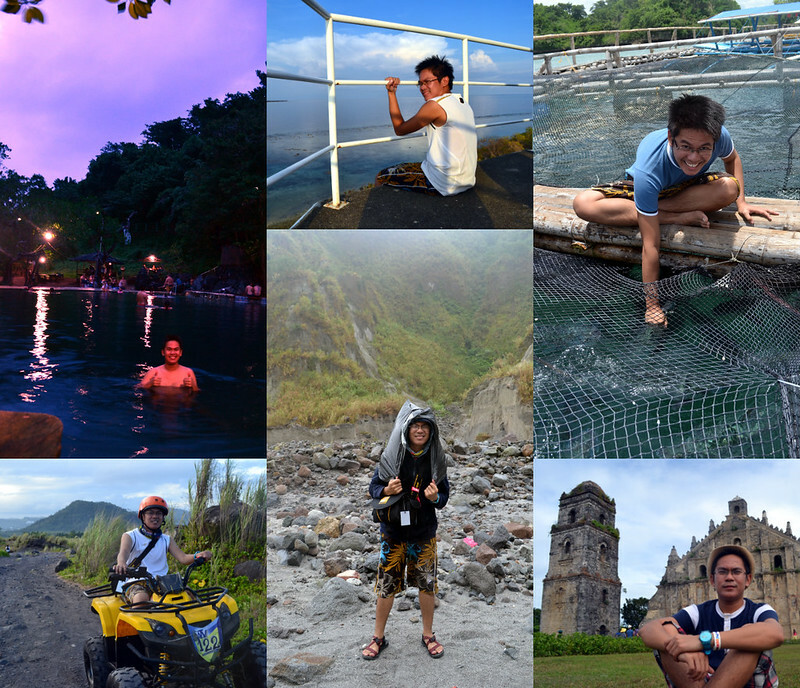 From Upper Left (clockwise): Maquinit Hot Spring in Coron, Lighthouse in Apo Reef Natural Park Occidental Mindoro, SEAFDEC in Guimaras, Paoay Church in Ilocos, Mount Pinatubo, ATV to Mayon Volcano. I started this blog last September 2012 after my Puerto Princesa City, Palawan trip. It was my first time to go out of mainland Luzon. Witnessing the beauty of nature firsthand is the best feeling ever. The trip encouraged me to put up this blog to share my experiences. I started to roam around the city, checking every interesting events as well as museums, and landmarks. Last week of 2012 when I had my solo travel to Ilocos and since then, I can’t help but plan another travel to satisfy my wanderlust. 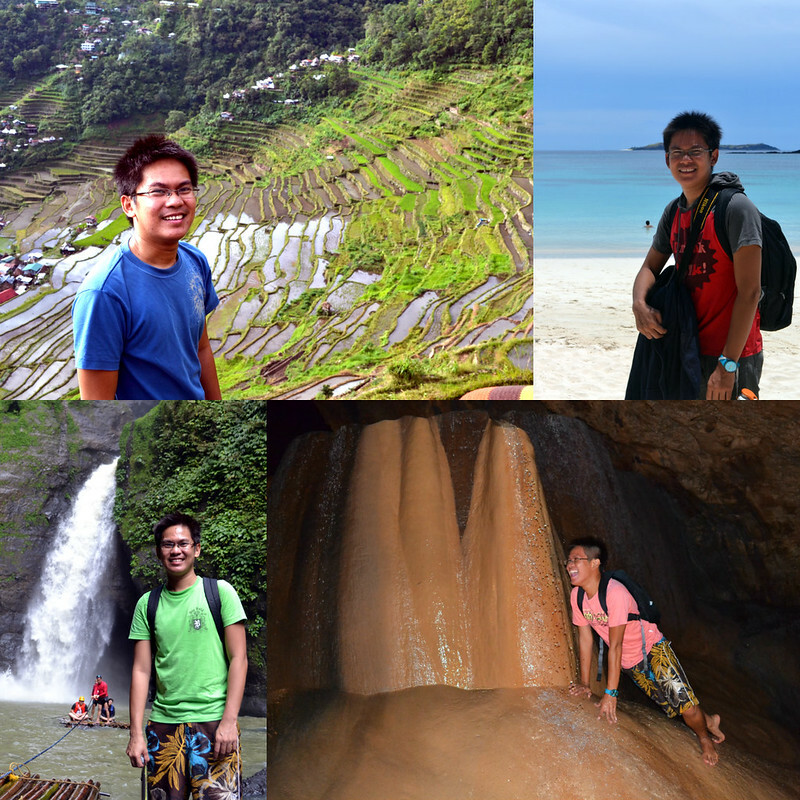 From Upper Left (clockwise): Batad Rice Terraces of Ifugao, Calaguas in Camarines Norte, Sumaging Cave in Sagada, Magdapio Falls in Cavinti, Laguna. RJDEXPLORER is RJ, an adventure-junkie from Pangasinan, now working in Cebu to save funds for his next travel adventures. He loves to take photos but still amateur when it comes to photography. Sharing stories online is a way of relieving stress and expressing himself. He wants to travel to the beautiful spots in the Philippines and then the world. Follow his blog to be updated of his travel/eating experiences.